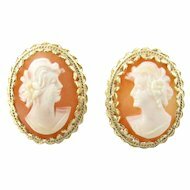 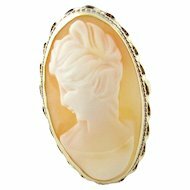 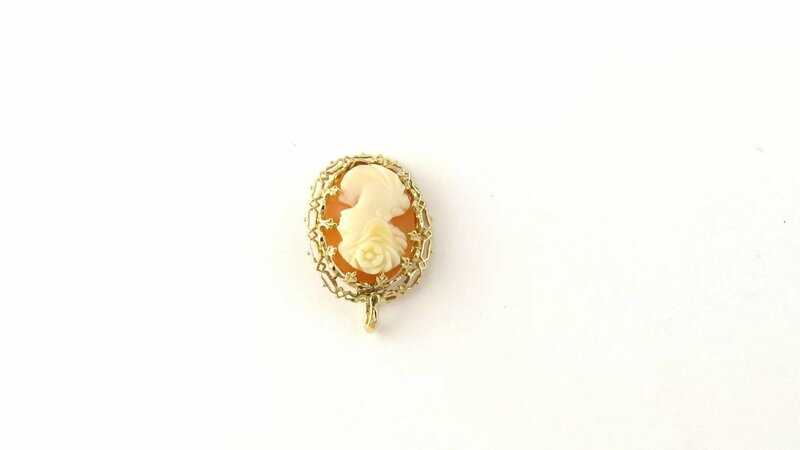 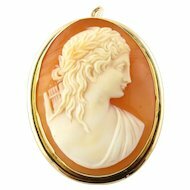 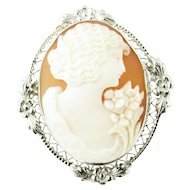 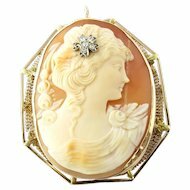 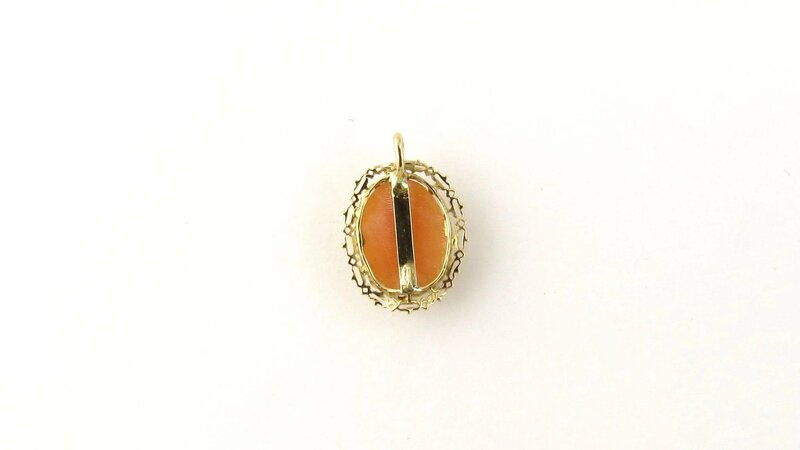 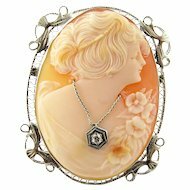 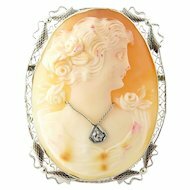 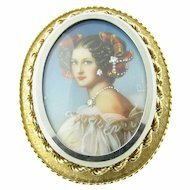 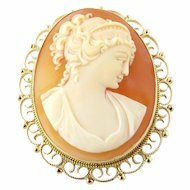 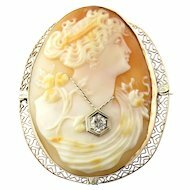 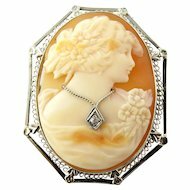 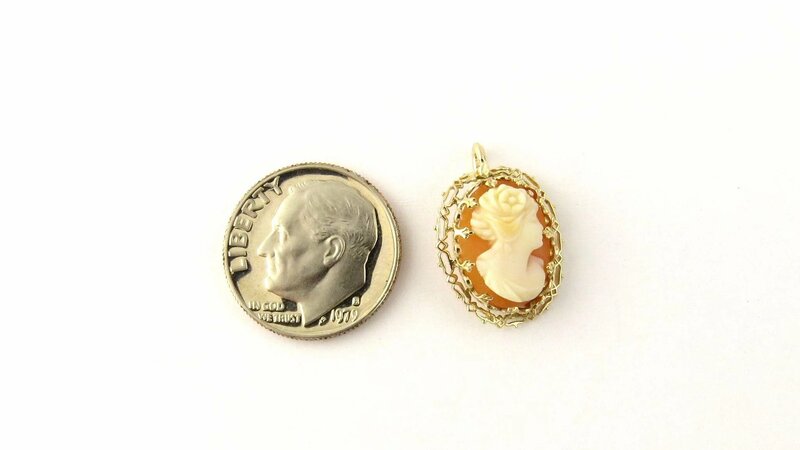 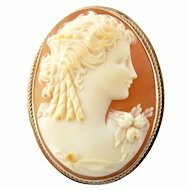 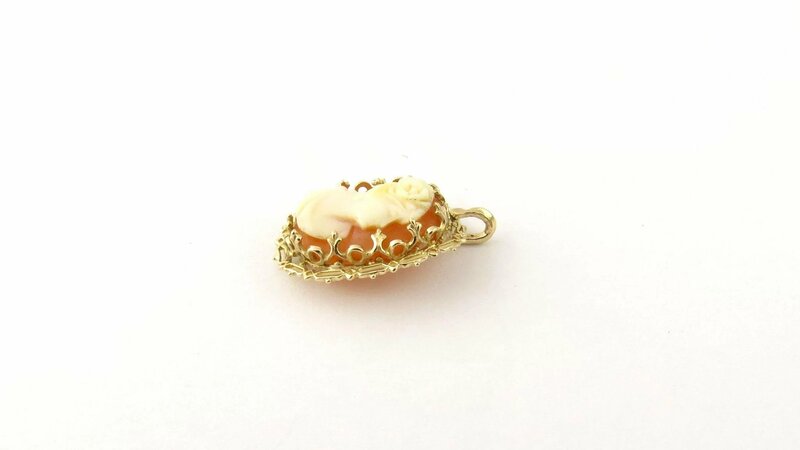 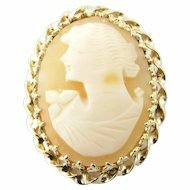 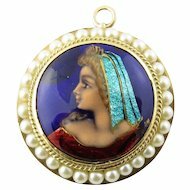 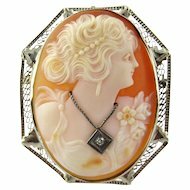 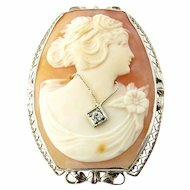 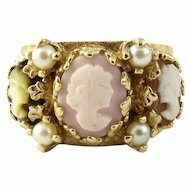 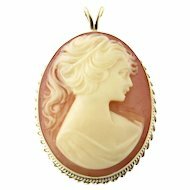 This elegant cameo features a lovely lady in profile framed in beautifully detailed 10K yellow gold. 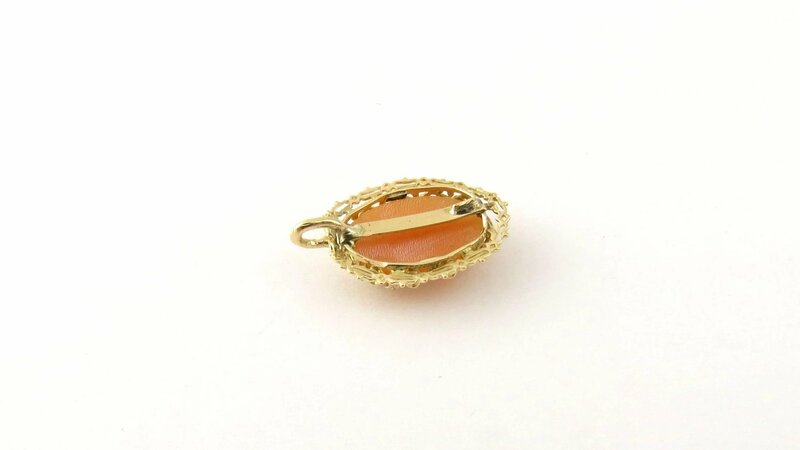 Weight: 0.7 dwt. 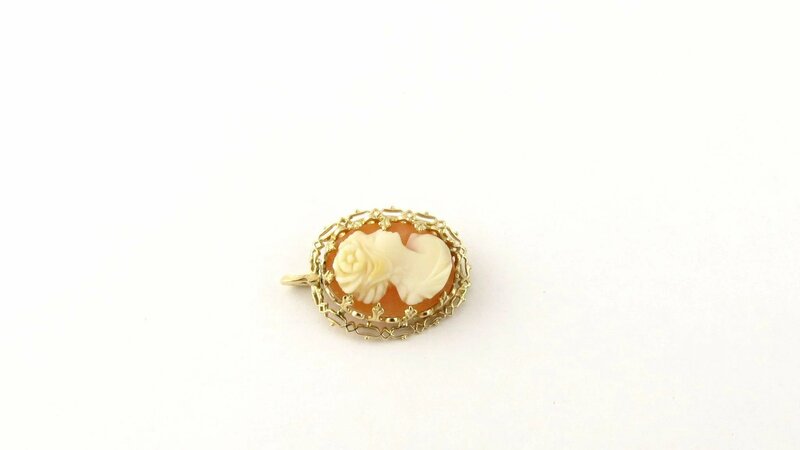 / 1.2 gr.